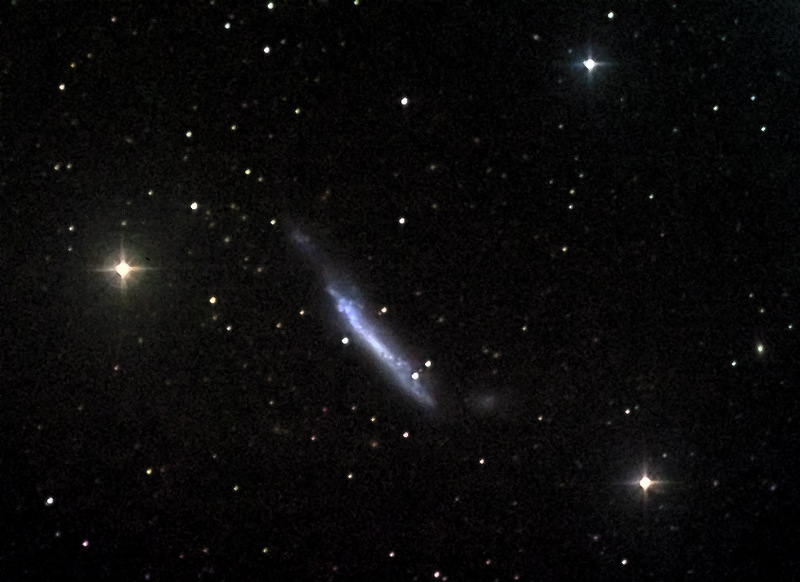 Galaxy LMi 10h52.5 +36°37' 6.2'x1.5' 11.5 About 45 Mly ??? NGC 3432 is a galaxy in Leo Minor, also known as Arp 206 which is classified as "Material ejected from nuclei". NGC 3432 seems to be in interaction with a dwarf companion, UGC 05983. The dwarf companion towards south-west (bottom right) is barely visible.